Do you enjoy switching from autofocus to manual focus for greater creative control? 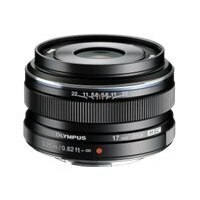 The 17 mm f1.8 makes it easy with a two-position snap focus ring. With the ring in the autofocus position, you can either use AF or switch to manual focus using the camera controls. But when you want to shoot old-school, just move the snap ring to engage the Manual Focus Clutch for the satisfying feel of a classic mechanical lens as you focus in on your subject. A distance/depth-of-field scale on the lens barrel makes it easy to calculate the correct focus position; it's great for zone focusing when you want to be stealthy while shooting street scenes.